Shakti construction is one of the leading construction company in Surat city . We have develop more then 400 buildings in the Surat and 50 commercial complex . 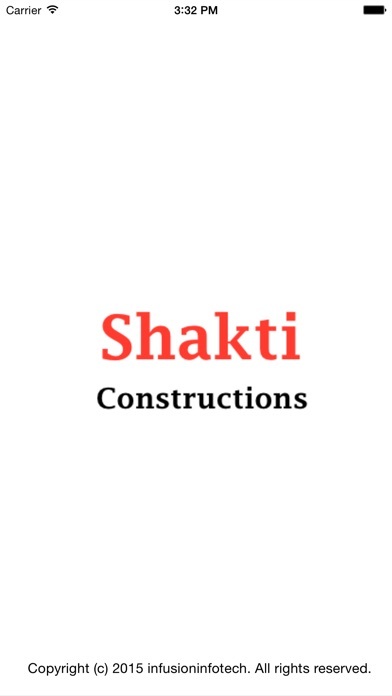 This Application is for Shakti construction Employee . They enter their requirement needed to the admin and admin will pass the required row material the construction site . Employee request the row material and their needs at the running construction site. Admin have a backend panel and they will check it and needed things to the running constructions site and update the order , Row material is delivery up to the maximum 24 hr . Employee can check therie requirement status it is pending or conform .